Pulque, once the most consumed alcoholic drink in Mexico, is fighting to regain broad appeal following decades of being out-marketed by the European beer industry. But the current struggle goes much further than the drink. It is also an attempt to preserve an indigenous tradition that dates back thousands of years. 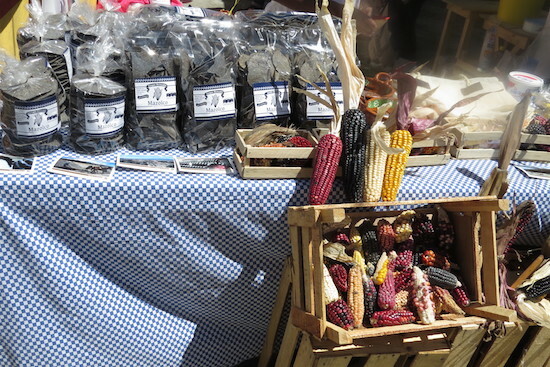 Photo: A variety of corns on display at the pulque fair. Pulque, once the most consumed alcoholic drink in Mexico, is fighting to regain broad appeal following decades of being out-marketed by the European beer industry, through the use of underhanded techniques such as claiming that feces were used in the production process, and strategic alliances that aimed at eliminating the drink. The Aztecs regulated the use of pulque. For a long time It could only be consumed by people over the age of 60, and only if they had fulfilled their duties to their people. After colonization, however, the drink became more generalized throughout Mexico and consumed with less restriction. But the current struggle goes much further than the drink. It is also an attempt to preserve an indigenous tradition that dates back thousands of years. 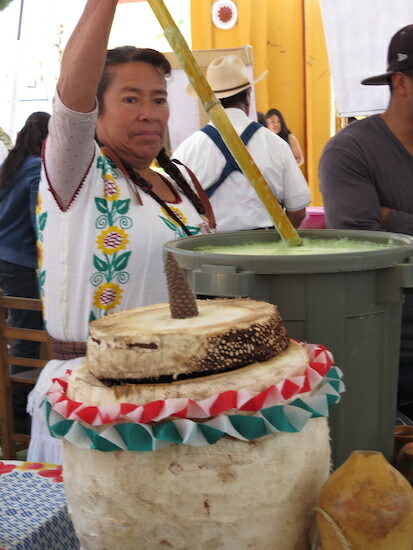 Photo: A woman stirs pulque at the fair. A donkey loaded with pineapples, tied to a giant maguey plant stood in the main plaza of the little indigenous town of Ozolco and gently greeted visitors to the annual pulque fair on Sunday. Maguey is the plant used for making pulque. “Our ancient ancestors drank pulque. 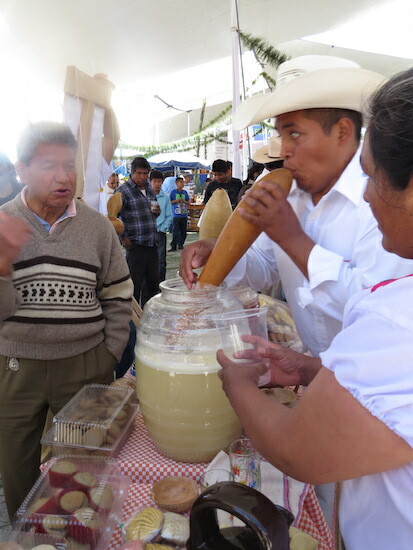 It was for important people, older people, and for important occasions and festivals,” Javier del Rosario Cortez, a member of pulque producing collective Tlachiqueros del mañana (Tomorrow’s Pulque Makers), told me. As he spoke to me, visitors queued up at his family’s stall and tasted their natural pulque.Meanwhile in the stall to the left, a group offered mango, strawberry and banana flavored pulque. hree thousand liters of the drink from 20 local producers were available at the fair, along with black and purple corn products, quesadillas, fish in mole, pineapple pulque coctails, and more. For a long time, maguey juice and pulque have been a food base for indigenous Mexicans. Small children are accustomed to the juice, and according to Sinembargo, a digital magazine that covers politics in Mexico, studies have shown that populations where pulque is consumed have almost zero malnutrition. 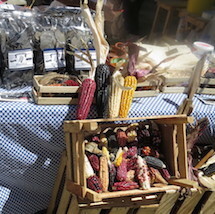 “We hold fairs like this one to preserve our culture,” Rosario Cortez said, adding that pulque was also important to agriculture: “We divide our land up between the maguey plant and corn plants, and that prevents erosion.” Despite the skills and work involved, pulque is very cheap, with a half liter of it ground with fruits costing around 20 pesos, or US$1.20 in the capital. Pulque was first represented in indigenous art in 200 AD, with graters found in archaeological areas in Hidalgo that dated back to 400 BC. Now though, beer is the most popular alcohol in Mexico. According to polling company Consulta Mitofsky, 61 percent of Mexicans choose beer as their favorite alcohol, with tequila in second place, chosen by 21 percent of Mexicans. Pulque was not given as an option in the survey. However, as more European and US migrants arrived with Mexico’s independence, they insisted on beer, and Europeans set up craft beer factories, demanding the brewers sign agreements not to teach the technique in Mexico. “Before, in Mexico there were pulquerias (pulque pubs) not cantinas (bar serving mostly beer and a few other drinks),” Rosario Cortez told me. The cantinas came to Mexico when US soldiers, participating in the war between Mexico and the US, demanded places to sit down and consume alcohol, where previously there were only places to stand up. The cantinas became a place for men to drink and eat around a table. In some cases, cantinas put up signs prohibiting women. The turning point though came at around the early to mid-20th century, when pulque was still the most consumed alcohol, making it serious competition to the emerging beer industry. Beer and its allies went on the offensive, with president Porfirio Diaz calling pulque “vile and rancid” and the European brewers falsely claiming that human and cow feces were used in its fermentation. The business people spread the idea that pulque contained a “muñeca” – where feces were supposedly wrapped in cheesecloth. In reality, the preparation of pulque requires a great deal of cleanliness to prevent it from spoiling. 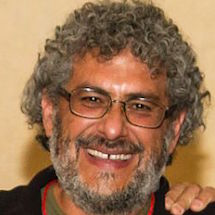 The siding with beer and attacking pulque had clear undertones of racism, with politician Francisco Bulnes, for example, stating that wheat breeds were superior to those of rice and corn. The media joined in as well, arguing that pulque was unhygienic and bad for people’s health – though the opposite is true. Meanwhile the propaganda in favor of beer described it as a family drink, hygienic and modern,and as being good for blood circulation. When I asked Rosario Cortez and his partner about how pulque compared to beer, he seemed taken aback, insisting there was no comparison. “You can’t even compare pulque to beer. Pulque is part of our roots, and its a natural curative, its good for women who breastfeed. Here (in Ozolco) we only breastfeed, we don’t use baby bottles,” Rosario Cortez’s partner added. Pulque is consumed in a different way to beer; sometimes sold in the street, it has to be drunk relatively close to where it was produced because it is difficult to stop the fermentation process. 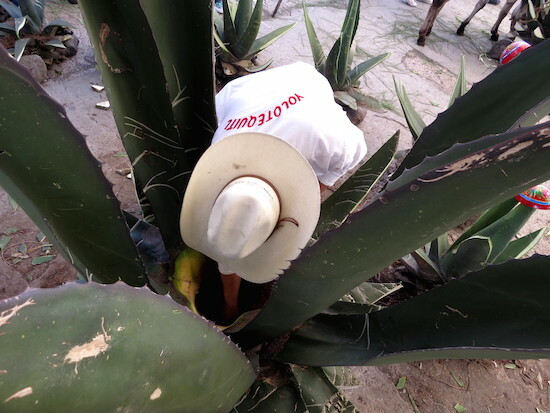 Though there have been and are bulk pulque producers, people tend to drink it locally rather than from a big business brand. Only 3 – 4 percent alcohol, it tends to be purchased in large cups. The maguey plant is also very dynamic, with its thick skin and spines protecting it from most possible pests except worms and the snout weevil’s larvae; and even these can’t get to the juice in the middle. The plant’s fibers can be used for clothing, scourers, and the plant can also be used in making bread, marinating meat, for construction glue, animal food, and more, according to Sinembargo. “We’re not ashamed to drink pulque. Sometimes people discriminate against us because we drink it and eat corn (products), and because of the way we dress. 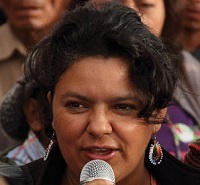 They call us “indigenous,” as an insult, its racism,” Rosario Cortez said, then ducked off to serve the long queue of pulque enthusiasts.